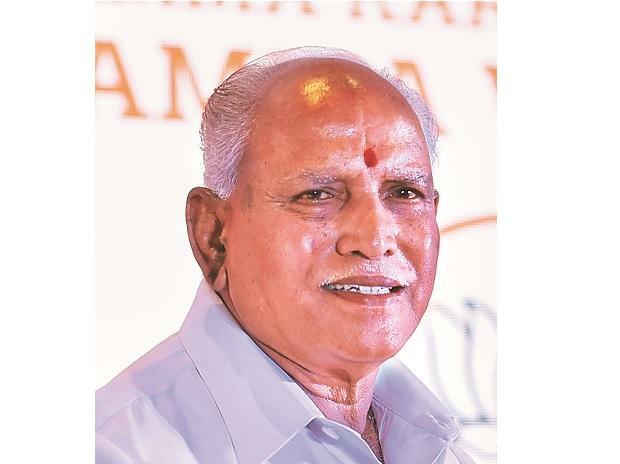 After a magazine report alleged that former Karnataka chief minister B S Yeddyurappa paid Rs 1,800 crore to BJP leaders, the Income Tax department on Friday issued a clarification saying "loose sheets" containing "numerical entries" against "some individual names", which were found in searches, appear doubtful as the originals are not available. The Central Board of Direct Taxes (CBDT) in a statement said it had recovered "xerox copy" of "diary pages" of Karnataka Legislative Assembly of 2009 from Congress leader D K Shivakumar during a search action on August 2, 2017. Shivakumar in a statement to the tax department stated that these were "a copy of the diary, written by B S Yeddyurappa, and the payments paid on behalf of B S Yeddyurappa to legislators and received from various leaders, MLAs, Ministers when they were in power," it said. The Caravan magazine reported that the recipients of the funds include Finance Minister Arun Jaitley, Home Minister Rajnath Singh and Transport Minister Nitin Gadkari as well as the BJP Central Committee members and state legislators. While no immediate comments were available from the three ministers, Yeddyurappa rubbished the allegations as "atrocious and malicious". The BJP's Karnataka unit also tweeted to deny the claim, saying the "handwriting & the signature on the dairy released by @INCIndia is as fake as the diary itself." Yeddyurappa in a statement recorded with the tax department in November 2017 had denied writing any such diary entry and said that the copies did not contain his handwriting or signatures, according to CBDT. CBDT, which comes under Jaitley, in the statement said the loose sheets were sent to the Central Forensic Science Laboratory, Hyderabad for an analysis but the laboratory after carrying out an examination of handwriting and signatures stated that it needed originals. "No originals were given by Shivakumar," the statement said. "It is clear that for a forensic analysis of the disputed writings to establish its evidentiary value, originals of the same are required." The tax department said details about the place and custody of the original writings and "if the original writings exist, are not available." "The same loose sheets prima-facie appear to be of a doubtful nature and were given by the person who was being raided for tax violations," it added. CBDT said it had carried out a search on Shivakumar and others on August 2, 2017 and "a large evidence of incriminating material against" him and his company were found. It further stated that Shivakumar in his statement to the tax department on October 19, 2017 "stated that this was a copy of a diary, written by Mr BS Yeddyurappa, and the payments paid on behalf of Mr BS Yeddyurappa to legislators and received from various leaders, MLAs, Ministers when they were in power." He, however, did not disclose the source of information, it said. "He also stated that he did not know the time period in which the said transactions have taken place and he did not have the originals of the said loose sheets." The department said on being asked why he had not brought this to the notice of the Anti-Corruption Bureau (ACB) or Lokayukta of Karnataka, "Shivakumar stated that as he did not know about the genuineness of the said loose sheets, he did not inform the same to enforcement agencies." "He further stated that the handwriting in the loose sheets could be of Mr BS Yeddyurappa on the basis of comparison between various documents written by Mr BS Yeddyurappa and the handwriting in the loose sheets," it said. Yeddyurappa in his statement to the tax department on November 25, 2017 stated that he was not in the habit of writing a diary and "that the loose sheets in question were not in his handwriting," the statement said. "He denied his handwriting and signatures on the loose sheets." "He further stated that contents of the loose sheets were false and fabricated and his name has been used to malign his political career," it said. "He also provided a sample of his handwriting in order to verify the genuineness of the said loose sheets. Further, he also stated that the fabricated loose sheets were politically motivated with an intention to tarnish his political image.